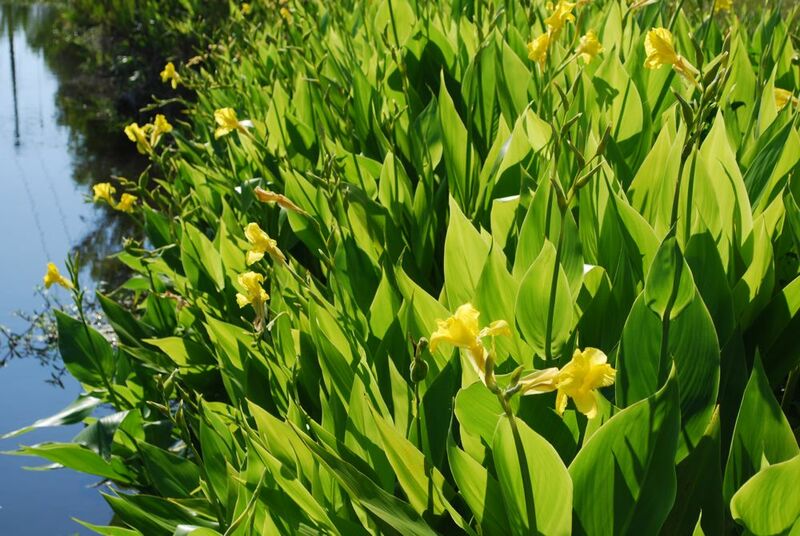 Aquatic Canna are a native plant from South America now found in USDA regions 7-11 in the United States. This plant can grow to a height of 4 to 6 ft tall and its green foliage resembles large spears, its flowers are butterfly shaped at the top of the plant. This plant adds height to ponds and they can be planted in pots with soil.